All the Avengers, except Hawkeye (Jeremy Renner), had experienced hallucinations different when Scarlet Witch (Elizabeth Olsen) damaging their minds with his strength. Thor ( Chris Hemsworth ) experienced a terrible incident in Asgard in the shade. Heimdall (Idris Elba) appears and tells Thor if he had been sent all over the Asgardian to hell. And it turns out besides Heimdall, Loki should ( Tom Hiddleston ) also appears in the shadow of Thor. Unfortunately, as reported yesterday, because of the many characters that appear in the Avengers: AGE OF ULTRON, Marvel decided to 'remove' from the sequel. Reported Empire, Joss Whedon Loki deliberately leaked the scene was cut. "Return to previous facts (in THOR: THE DARK WORLD), Asgard Loki took the throne from his father, Odin (Anthony Hopkins). And he would imitate his father to trick Thor. Unfortunately, this scene never happened," said Joss. 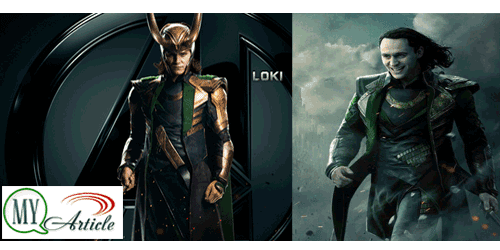 Yes, Loki last appeared in the second sequel Thor, THOR: THE DARK WORLD. After faking his death at the hands of Dark Elves, he crept towards Asgard and seize the throne of Odin. Until now, no one knows the whereabouts of Odin. But for you fans of Loki, do not worry. God of Mischief will come back in the third sequel to Thor, THOR: Ragnarok and in the last sequel Avengers, INFINITY WAR. What else ya act of will he do?